Photos of Prince George, BC - Central Interior. The Tourism PG photo gallery features shots of the area and activities throughout our city. celebration of National Tourism Week. to or benefit from tourism; The future of tourism in British Columbia. opportunities, and a chance to connect with Tourism Prince George. makes tourism the third largest job creator in the country. Over twenty million travellers chose Canada in 2017, up 4% from 2016.
throughout the year (TIABC, 2018). accommodation and more,” says Tourism Prince George CEO, Erica Hummel. provided services for all events. Prince George, BC- For eleven days in October, Prince George will be home to the Peak Canadian Climbing and Mountain Culture Festival. Throwdown Adventure Festival Society, the Prince George sector of the Alpine Club of Canada and OVERhang Education Centre Ltd are the organizers of this event. Starting on October 11th and finishing up on the 22nd, there will be exciting activities taking place throughout the city at many different venues. These events range from half price community climbing, a story telling event, technique workshops and a climbing competition at OVERhang gym. The Vancouver International Mountain Film Festival screening will be held at UNBC, and an adaptive climbing program will be a legacy of the festival. One of the main attractions of the festival is the Gala Evening at Northern Lights Estates Winery that will feature world-renowned climber Sonnie Trotter as the keynote speaker. This event will take place on Oct 20th at 7:30pm and will feature local artwork that resulted from the Artnership program this summer. The Artnership program is a joint venture between Tourism Prince George and The Community Arts Council of Prince George & District that showcased six local artists reimagining Prince George through their various art mediums. Sixty tickets will be available for the Gala, at a cost of fifty dollars each that will include wine, appetizers, networking and an art exhibit. “This event is a new way to showcase the growing enthusiasm for the culture and outdoor adventure that Prince George has to offer. We are excited to be hosting the 2017 Peak Canadian Climbing and Mountain Festival,” says Erica Hummel, CEO Tourism Prince George. Stay & Play the Northern way! Prince George, BC – For the second year in a row, Tourism Prince George wants to invite you to Stay and Play in PG! We've once again teamed up with local businesses to bring regional visitors exciting offers that they won't want to pass up! By booking a 2-night stay at one of our participating accommodation partners between August 24 and December 24, 2017, our out of town guests will receive a booklet of VIP deals and discounts redeemable at various businesses throughout Prince George. For more information, rules, and to see which businesses are participating, visit www.tourismpg.com/stayandplay. Prince George, BC- In spring 2020, Prince George will play host to the Canadian Masters National Badminton Championship. This event will be held at the Charles Jago Northern Sport Centre and is expected to generate $500,000 in economic impact for the community. Find the full release attached. Prince George, BC- In support of leaders coming together for the second annual Global Meetings Industry Day (GMID), Tourism Prince George and the Prince George Conference & Civic Centre (PGCCC) will be hosting a Champions Reception. The invite only event will take place on the evening of April 6th to coincide with GMID. The purpose of the Champions Reception is to acknowledge and celebrate those individuals who have chosen Prince George as their premier meetings & conventions destination host city, or who have provided services for all events. In addition to the Champions Reception, Tourism Prince George will be launching our HostPG Program on GMID. HostPG is an innovative sales and marketing initiative designed to identify and support local business leaders and academics in bringing their association or corporate meetings to Prince George. If your organization is interested in hosting a meeting or conference in Prince George and you require further information please contact Shirly Prokopchuk meetings@tourismpg.com. Tourism Prince George (TPG) is a not-for-profit society created in January 2010 that is governed by tourism industry stakeholders through an appointed Board of Directors. A stakeholder model has been adopted by the Tourism Prince George Board of Directors meaning that all tourism businesses and organizations in the Prince George region are automatically stakeholders without paying a membership fee. Prince George, BC – On the heels of two big sport event announcements, the 2019 World ParaNordic Championships and the 2022 BC Summer Games, Tourism Prince George is pleased to announce the return of the SportPG Speaker Series in 2017. 2016 was the launch of the series, which brought the sport community together for networking and learning opportunities on a variety of event-related topics. It was hosted on four Tuesday evenings throughout 2016, and 101 people attended representing 40 different sport organizations. For details and to register, visit Sport Speaker Series. Tourism Prince George (TPG) is a not-for-profit society created in January 2010 that is governed by tourism industry stakeholders through an appointed Board of Directors. A stakeholder model has been adopted by the Tourism Prince George Board of Directors meaning that all tourism businesses and organizations in the Prince George region are automatically stakeholders without paying a membership fee. 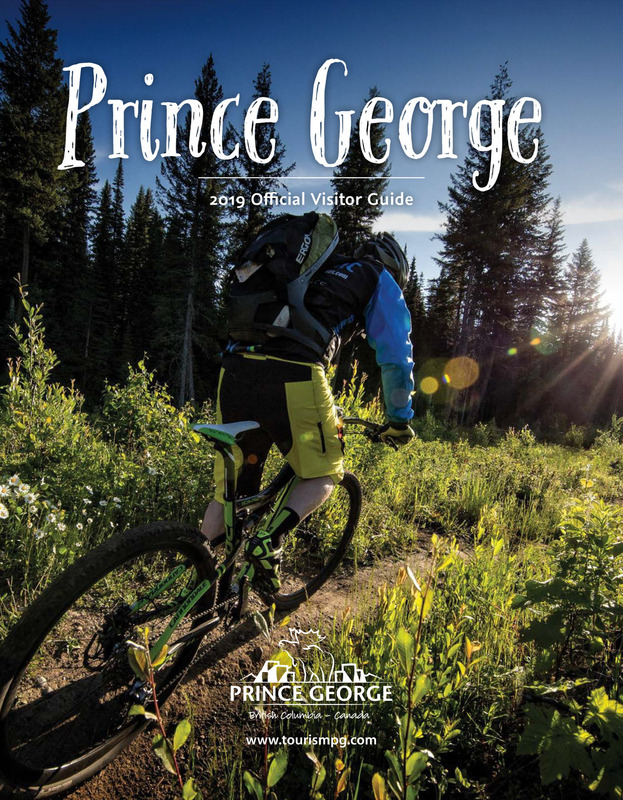 Since its inception, Tourism Prince George strikes to promote sport as part of its tourism initiatives. Prince George, BC- The City of Prince George in collaboration with Tourism Prince George’s application for the renewal and rate increase of the three per cent tax (increased from two per cent) on the purchase of accommodation within the City of Prince George under the Municipal and Regional District Tax Program has been approved. The renewal and increase will take effect on July 1, 2017. “Tourism Prince George is very pleased to announce that our MRDT application has been successful and we propose to use the funds to increase and attract higher profile sport events and meetings and conventions to the City,” says CEO Erica Hummel. The tax program is intended to contribute to an increase in local tourism revenue, visitation, and economic benefits. Prince George, BC- On January 14th, Canadians across the country will be celebrating the third annual CIBC National Ski Day. The CIBC National Ski Day has 17 participating resorts across the country taking part in this all-Canadian event. From January 12th to 14th, Tabor Mountain Ski Resort in Prince George will be the only resort in Canada hosting a NorAm Cup Ski Cross event on National Ski Day. To celebrate the occasion, they will also be offering 50% off lift tickets. Tabor is no stranger to hosting this high-performance event, as it gained popularity with its innovative course design during the 2015 Canada Winter Games. Since then, the resort has hosted nearly a dozen NorAm events and was the first to bring events of this caliber to BC. The three-day event will feature over 100 competitors and take place entirely on Eta’s Course with the rest of the mountain open to the public. Spectators are encouraged to come out and cheer on the athletes. It is free to walk up and watch the excitement. Qualifiers begin at 11:00am and races begin at 1:00pm on January 12th through 14th.